Scabies. 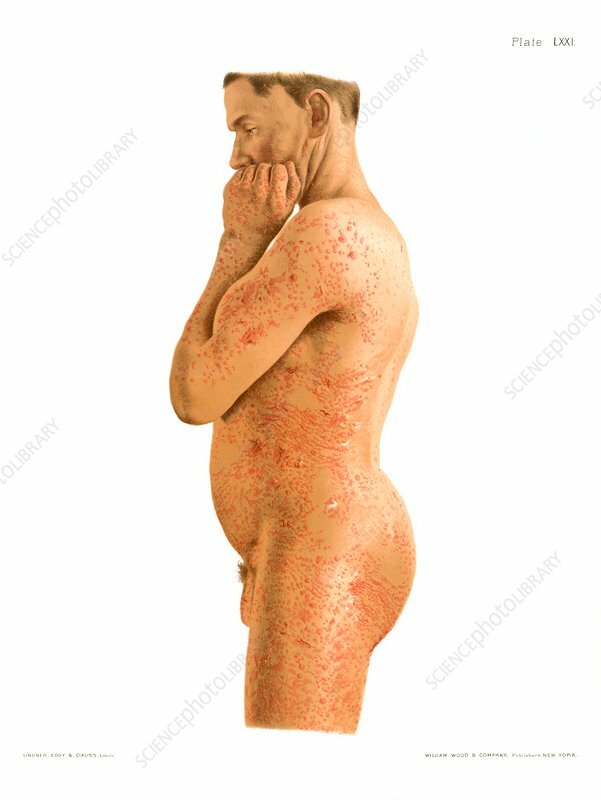 Historical medical illustration of a case of scabies. Scabies is a skin infection caused by the Sarcoptes scabiei mite. The female mite tunnels in the skin to lay eggs and the mites are passed on by contact. The mite's burrows are tiny, grey scaly swellings on the skin, often on the hands. Later, reddish lumps may appear on the limbs and trunk. The infestation causes intense itching, and scratching results in sores. From Atlas of Venereal and Skin Diseases by Prince Albert Morrow, published in 1889.